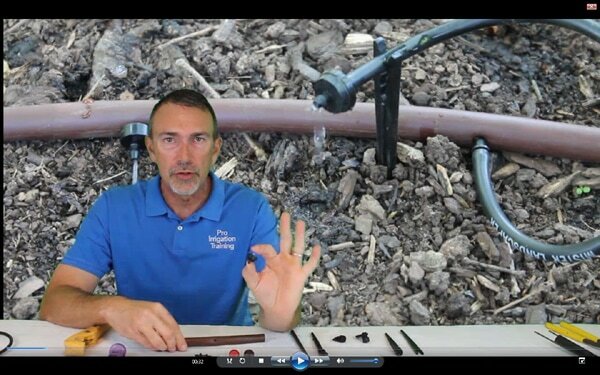 Why do I create online video irrigation and lawn sprinkler training courses? I'm Mike Haynes, owner & president of AllGreen Media, Inc. Our mission is to find and train the next generation of irrigation & lawn sprinkler technicians. We do that through our online irrigation school called Pro Irrigation Training. We also have another website in development that will be a part of our strategy to find new technicians. That site is called Pro Irrigation Jobs, and will hopefully launch in the Spring of 2018. Fingers crossed! Our irrigation training consists of online video courses that one can work through at their own pace. The IRRIGATION 101 series is designed to lay all the foundations of knowledge that one needs to be an irrigation technician. The concepts of Water Hydraulics and Electricity are explored in the first few courses. This information is absolutely critical. If you don't understand the difference and interaction of pressure, flow, velocity, and friction loss, you will always come up short. I personally came up through the business with no system for training a new recruit. As a result, I drew some of my own conclusions about how water behaved. I had it all wrong, lol. There are other forms of training available, but it's all rather piecemeal. The manufacturers like Hunter, Rain Bird, Toro, etc. will have live, local seminars at the supply houses. I've been to many of these, and I've learned some good info there. They're generally one-topic events that may occur 3 or 4 times a year at best. Please, take part in all of those that you can get to. You'll learn some stuff, and it helps you to build relationships with your suppliers and reps. Some of these manufacturers also have some video training available on their website, which is great for some specific issues. These can play a part in your education, as the random Youtube video can, but they're still not an educational system for starting a new person out and building layer upon layer of real world information. Once a year, there are also week long training events usually hosted by large supply chains. I've gone to those as well. In my part of the country, they're usually held at Myrtle Beach, so it's a beach trip which is nice! Cost-wise, admission to the event plus a week's worth of hotels and dining can get a little pricey for those just getting started in business. My only real comment on these type of classes are that they are usually taught by manufacturer's reps. Don't get me wrong, those guys are great and super knowledgeable on their particular products. However, I was left wanting classes taught by actual contractors that were using these products and techniques in the field. I would still take part in these industry events, if I were you. You will definitely learn some things and possibly get some good networking in! With all that being said, why should someone purchase our video training courses? For starters, the price is amazing, if I do say so myself. The everyday price of our paid courses are $30 USD each. When we get done producing all of the courses we have planned for the 101 and 201 series, there will be 11 courses, 9 paid and 2 free. The total cost for all those are going to be $330. I consider $330 to be the absolute minimum that a technician should put in their pocket for a day of contracting work. In my area, it's usually more like $500 - 600 per day, but 300 to 350 if you're doing any work at all. 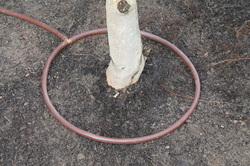 Consider our new course, Drip Irrigation For Lawn And Farm. You will learn everything you could possibly need to know to plan, install, or repair drip irrigation systems. Yesterday, I completed a drip repair job for a commercial client that put $1,600 in my pocket after expenses. I have another job waiting on me to install some drippers in potted plants. It will probably take an hour and a half and net me around $160. Neither of these jobs are anything special, it's what I do all day, every day. So, I would obviously tell you that a $30 course is an outrageous deal. It's an investment in yourself. Could you take the education from our irrigation training courses and make a living with it? ABSOLUTELY, YES!! My goodness, we service company owners are begging for good technicians! When I've talked to business owners as well as owners of large franchise chains, almost every one of them have said to me, " We love your training, we need that, but can you find us someone to hire?" So, there is a demand for technicians that can install (correctly) and repair irrigation systems. I have tried to transition away from personally working in the field and become an educator, but the demand is so great, I can't leave my customers until I can start to replicate myself in the field with expert level technicians. That's where you come in! Let's examine using your irrigation or lawn sprinkler system to establish new plantings. We'll discuss drip irrigation, tree bags, scheduling strategies, and other techniques for ensuring that your new plantings survive! Have you ever lost a newly planted tree or shrub? It gets expensive! One of the most common irrigation mistakes that we encounter in the field is providing water for new plants. We often see new plantings severely stressed, and usually the blame is placed on the irrigation system. Of course, planting anything during the months of peak temperature will be challenging, but a proper understanding of a plants water needs and your system's ability to provide those needs can translate into real money in your pocket! I can't count the number of situations that I've seen where someone plants a row of 2" -3" (trunk diameter) trees, and expect their irrigation program of every other day or every third day to suffice. A new plant from the nursery will normally have instructions on how much to water. Sometimes that amount is given in a weekly number, but more often it's given in a daily amount. That daily amount is what's important to remember. In the winter or cooler months, when the ET or Evapotranspiration rate is 10 or 20% of it's summer peak, it may be possible to water every other day. Evapotranspiration is the amount of water lost from evaporation from the ground, combined with the amount of water that the plants transpire into the atmosphere. To give you some reference, I live in the Upstate of South Carolina. In January, our ET rate is .02 inches per day, but in July it's .2 inches per day. During the summer, a single mature tree can transpire 2-3 gallons of water a day. A good, general estimate in the absence of a specific recommendation, is 10 gallons per week per inch of trunk diameter. Using this estimate a 2” trunk diameter tree would require 2.85 gallons a day. I performed a real world test on my own system to see how much water would be applied to an area equal to the rootball of a 2” tree, just like the Hollies pictured above. An average rotor run time for our area is about 30 – 40 minutes. So I ran the zone for 40 minutes and collected 2 Quarts or 1/2 of a Gallon. This zone has head to head coverage in a triangular pattern, with 3 heads covering this area. I generally run my system 3 days a week during the hot season. As we can see, this is completely inadequate. Our primary concern is how much water that we can get to the rootball. A transplanted or container grown plant will have maybe 10 - 20% of the root area that it needs initially. Rootballs, especially those that have been burlapped can take up to two growing seasons to become completely established. The true challenge is keeping that plant alive during not only the first couple of months after the transplant, but also the crucial first summer in the ground. I've been told that a newly transplanted plant should be treated for the first year as if were still in a container. It should also be mentioned that we're talking about watering the rootball, not the hole prepared for the rootball. One should be preparing a hole twice as large as the rootball, but we must remember our focus. A condition that we can see bearing upon transplanted plants is the compaction of the rootball and included soil. There is very little "pore space" in the average rootball due to the dense structure; many times plants are "rootbound" and need time to start spreading out the root network. 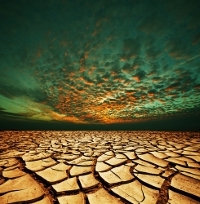 To compound the problem, water typically won't flow from a saturated soil into the rootball. There are only minimal amounts of lateral water migration in most soils, so the primary concern is applying water directly to the rootball, and to further compound the problem, we can't apply too much water! Overly saturated roots during periods of elevated air temperatures can cause a plant much stress. The proper solution to irrigating newly planted trees and shrubs must involve precise placement of water at very slow application rates to deeply penetrating depths. The best case solution is drip irrigation. Dripline can apply the needed amount of water at a very slow rate to allow proper infiltration into the rootball. Be careful, though, it's easy to overwater with drip if you don't understand the flow/application rate of the product that you're using. The supply house, contractor, or manufacturer can supply this info. Most of the manufacturers have friendly customer service lines. The next best solution is a tree bag. Treegator (unsolicited mention) is the brand that we're familiar with, they definitely perform as advertised. There are a couple different brands out there, but like anything else, find the product that you can rely on. 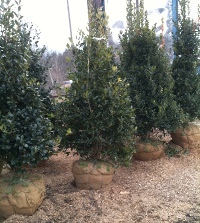 These bags wrap around the base of a newly planted tree and soak water directly over the rootball at a slow application rate. One has to attach a garden hose about once a week or so to keep it filled. It's a little more visible, and requires a little bit of effort, but tree bags are a fine solution in the absence of an automated system. So, what's the plan? Hopefully I've convinced you to take a more proactive role in caring for newly planted trees and shrubs. Consult with your landscaper or nursery to get localized suggestions for how much to water. Find a solution that allows you to water slowly every day, and pay attention to your plants!